Auckland | Triumph Owners Motor Cycle Club NZ Inc. Monthly meetings are held on the last Tuesday of the month from 7pm at Swashbucklers bar, 238 Westhaven Drive, Auckland central. All welcome. Anyone Know Where This 3TA Is? 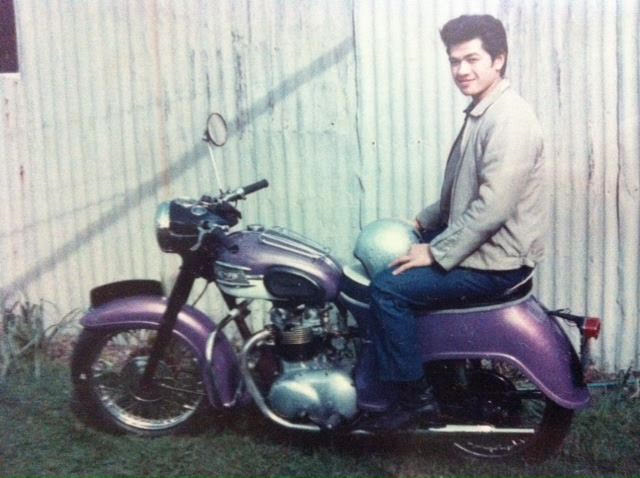 Trying to locate an old bike that was my dads(65′ 3TA ex Police bike), sold it to triumph dealership in Beach road Auckland back in the late 60s. He had it painted Purple Metal Flake. so perhaps someone remembers buying it. My dads name is Gerald Young, he turns 70 next year and would love to get it for him if possible, if its still alive. Many thanks, Quin.